May 20, 2018 By Sabrina Quairoli This post may contain affiliate links. Read more on my Cookies and Policies Page located in the menu above. Ahhh, those summer days, where you can kick back and relax. You may want to lay around, take long weekend trips, and stay out late at night. The heck with organizing, right? Wait just a minute. Clutter doesn’t stop accumulating in the summer. So, why should you stop keeping your home organized? If you think stopping your organizing projects over the summer is a good idea, I created a list of results that can happen because you stopped decluttering and reorganizing. You will forget where you left off. Some organizing projects need to be completed within a short amount of time because they are more complicated and need more of your attention. By setting it aside for several months you may forget where you left off and have to start over again. 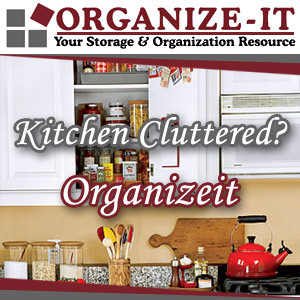 You will get overwhelmed with the organizing project. This will happen particularly with projects you meant to start and never did. Then, the months pass and the piles get bigger and get more hidden. You will never get back to it. If you have several projects in progress, you may forget to return to the other projects you didn’t finish before the summer. These are just three of the many results that can happen if you stop doing those organizing projects this summer. Do you dare not to continue your organizing projects? If these results scare you enough, check out the 8 quick tips below that will help you move beyond your procrastination this summer. Schedule 15 minutes each night to do a clean sweep of the house. This is where you go and put all the small items that were left out away. Trash goes in the trash can; plates go in the dishwasher. Pick the time of day you least like to stay outside. If you don’t like the heat and want to stay inside at 3:00 to 4:00 pm or 12:00 noon to 1:00 pm, use this time to do your indoor organizing projects. Start with the project you want to do first to get you motivated to continue with the projects you dislike. Clear the floors and tables that are frequently used like stairs, hallways, and kitchen surfaces. By doing this, it will make your home look less cluttered. After you clear a frequently used area, make a system that will help you keep it organized. Here are some examples: Add a table with a bin for mail. Add baskets to stairs for small items that go upstairs or downstairs. Hang a key ring holder for all the frequently used keys. Take advantage of the rainy days. Check the weather and see when in the next week where it may rain and plan what you want to do on that day. Don’t be afraid to ask for help. Keep in mind, this will help you speed up the decluttering and organizing process, and you can get on with your next adventure. Find a person that won’t judge you through the process. Motivate yourself to do the project by telling yourself you CAN DO IT AND GET IT DONE. Don’t allow negative talk stop you from completing the project. Reward yourself for doing an organizing project. Determine the reward before you do the project. And, don’t forget to give yourself the award after you do the project. Hopefully, this summer, you will have lots of motivation to get your home organized. I hope this helps you make the most of your summer. Below are some posts that will help you get your organizing projects done this summer. The capital titles are from this blog. The worst is when you start a project, like a garage, and then stop in the middle. We all know it gets worse before it gets better, so you are getting stuck in “worse”… no fun! Great tips here. I love #4, it really can give you a feeling of accomplishment and satisfaction. It’s funny, but I find that many people LOVE organizing especially during the summer. They seem to have more time and don’t feel as rushed and stressed as they do during the year. Even so, you’ve come up with a great list for ANY time of year because procrastination can happen in all seasons. One plus about continuing to organize over the summer is that if you’re around the home more, you will probably enjoy it more having less clutter and more order. As you also pointed out, organizing doesn’t have to take up ALL of your time. A lot can be accomplished in a 15-minute session. String a bunch of those together and you’ll see some major progress. Great point, Linda. Thanks for sharing. I love the idea of using your least favorite outdoor time to work on inside projects. We just put in a pool and I am finding it hard to be productive because of its siren call. I’ll have to do this! Thanks, Sabrina! All we have been having is rainy days! However, I know I’ll regret saying that when the 100 degree temps hit and I’m wishing for a rainy day! 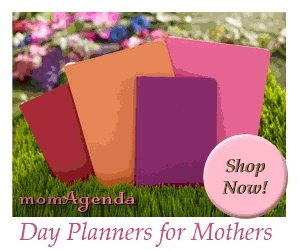 Those are great days to get caught up on paperwork and household projects. Great list, Sabrina! I especially love the check the weather tip. Inclement days are always worthy of an organizing project! Good point about when your favourite time of day it is to be outside. It is always hard to want to do things inside when the sun is shining. Thanks Sabrina, the sun is shining the birds are chirping and all I want to do is get in a chair in the backyard!